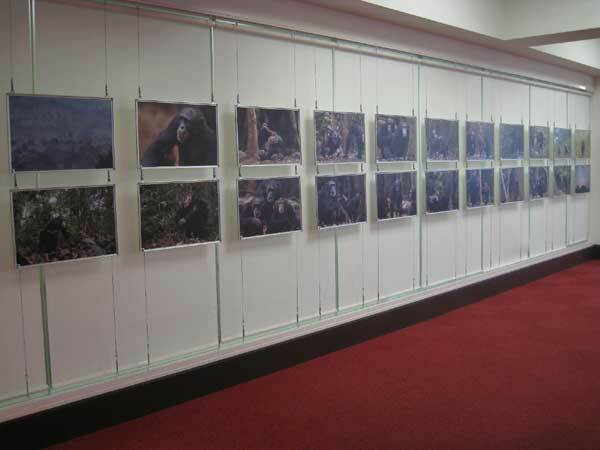 Welcome to our photo exhibition documenting the lives of wild chimpanzees at Bossou. The small village of Bossou is located near Mount Nimba, West Africa's largest mountain range designated by UNESCO as a natural World Heritage Site. A small group of chimpanzees inhabit the forests surrounding Bossou. An international team coordinated by the Primate Research Institute of Kyoto University has carried out long-running research here since 1976. Bossou chimpanzees are well known for their use of various kinds of tools. For example, they use a pair of stones to crack open oil-palm nuts in order to access the nutritious kernel. In 2011, we published the book "The chimpanzees of Bossou and Nimba" (Springer), which provides a unique overview of our research team's collective efforts over the decades. To celebrate the book's publication, we decided to organize this photo exhibition. Two British photographers, Anup Shah and Fiona Rogers, visited Bossou between December 2010 and February 2011. They took many photos illustrating the daily lives of chimpanzees at Bossou. 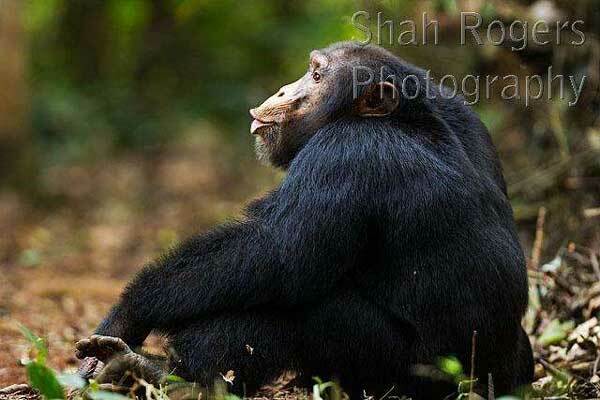 Please take a look and enjoy the charm and beauty of wild chimpanzees and their surroundings.